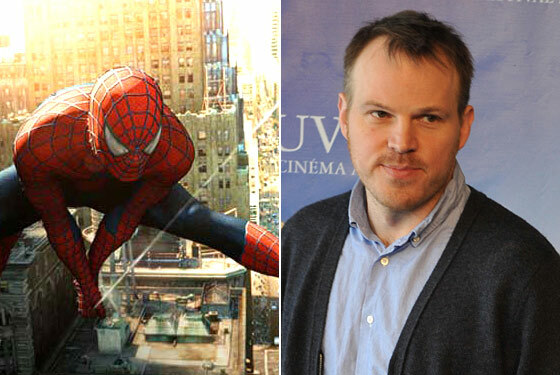 Vulture can report that Sony will imminently announce a deal with (500) Days of Summer director Marc Webb to direct not one, but three Spider-Man movies in a rebooted franchise that will focus far more on the private life of Peter Parker. Webb, whose (500) Days scored a Golden Globe nomination and whose name seems to have predestined him for this job, has long been a favorite of Columbia chairman Amy Pascal. We’re told that last year she very nearly hired him to direct the adaptation of Michael Lewis’s Moneyball after she pulled the plug on Steven Soderbergh three days before shooting. She ultimately chose Bennett Miller (Capote), thinking that Moneyball might be hurt by Webb’s whimsical style, but she views him as a latter-day Cameron Crowe for the economically and socially angsty Generation Y, and thinks he’d be perfect to explore the conflict within Parker. Webb’s other big appeal? He’s much cheaper than the old Spider-Man crew. The deal just now being sewn up calls for Webb to be paid roughly $10 million for the first film, with substantial bonuses built in if the picture reaches certain box-office milestones. (Coincidentally, Webb’s deal is being hammered out by the Gersh Agency, the feisty outfit which first put Tobey Maguire into the webslinger’s suit a decade ago.) This is a big savings from how his predecessor Sam Raimi was compensated. Unlike the now-departed Raimi, Webb won’t be getting paid a percentage of the films’ grosses. Compare that to Spider-Man 4, for which Raimi and star Tobey Maguire were expected to claim more than 25 percent of the gross. It’s not just a case of Hollywood exploiting a young director; it’s a matter of survival. The ground has shifted dramatically as of late. With the recent dramatic collapse of the DVD market (sales were down 17 percent in the last three months, compared with the same time last year), Sony had become genuinely worried that with a high-price cast and director, the Spider-Man franchise wouldn’t make the studio any money at all in theaters. In fact, we’re told that only longtime producer Laura Ziskin and former Marvel Entertainment CEO Avi Arad are getting gross participation on the new films, and then only because their contracts stipulated as much.